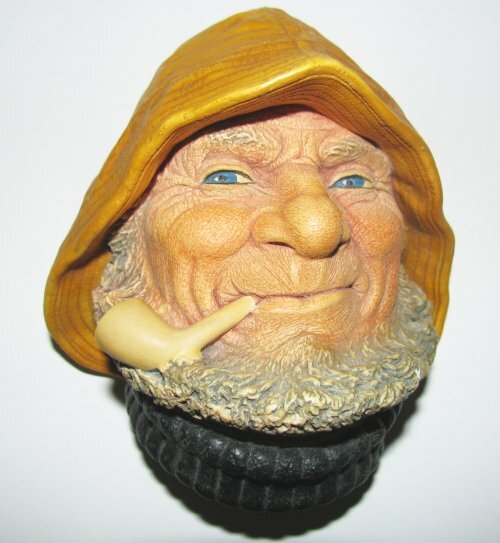 Bossons Old Salt Chalkware Head - Vintage 1971Bossons Figurine! Vintage Bossons chalkware Old Salt head. A WONDERFUL Bossons character wall mask from 1971. Measures about 5 inches high and 4 inches across. The piece is in good condition but has a couple of small flakes on the hat and under the sweater.